The Volt Sleeveless is the ultimate basic training and entry-level wetsuit, though you'll find it on the back of some of the strongest swimmers in the water. It is ideal of shorter swims of 1.2 miles or less, or longer swims in salt water or if you're a better swimmer. Adds comfort and increased durability, ensuring that the suit stays intact and in place. Uses a triple layer of glue and double-blind stitching to ensure long-lasting waterproof seams. Allows for a more natural feel in the water, reducing drag and increasing freedom of movement. More information on our technology can be found here. More information on shipping, returns, and warranties can be found here. For all orders in the contiguous United States, we offer free shipping when you make a purchase of $400 or more. You have 30 days to try on and test out your suit. We want to make sure you have the right fit and model, and can even take it for a swim! Get more bang for you buck! We offer no sales tax in most states. Made of Limestone-based rubber instead of petroleum-based rubber, which is 95% water impermeable, compared to 70% of the petroleum-based standard. 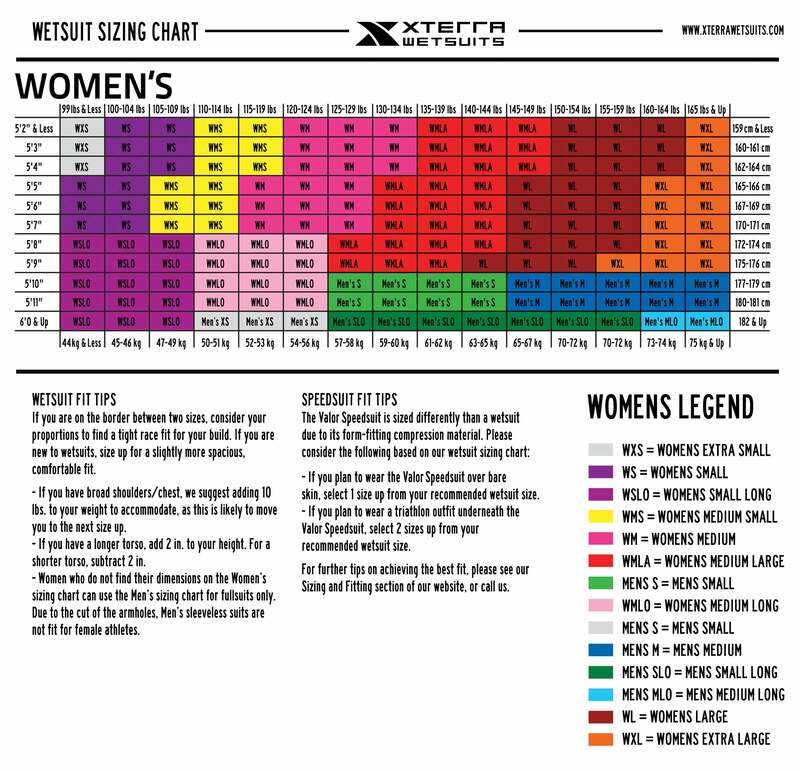 XTERRA Wetsuits are warranted against manufacturing and material defects for two years from the date of purchase.